Bo's Brewery & Bistro, also known as Bo's Smokehouse Bar-B-Que, is one of our favorite establishments for both dining and drinking in Pontiac! If you love single-malt scotch as much as we do, you'll be happy to note that Bo's has one of the most extensive selections in the area! There is also a wide selection of Michigan's own microbrews on draft, so if you're looking to soak up some local flavor, this is your place. The ambiance is both upscale and relaxed, with all the great vibes and none of the pretense! There are three expansive levels to enjoy, including a spacious outdoor patio for the warm and breezy months of the year and a top VIP level for private events. That's a space that you'll definitely want to consider renting out for your special occasions, since it's complete with cushy leather sofas, a vivid large-screen television, and its very own full bar. The service, no matter which part of the bar you are seated in, is always superb. They've got one of the most professional waitstaffs in all of Pontiac. 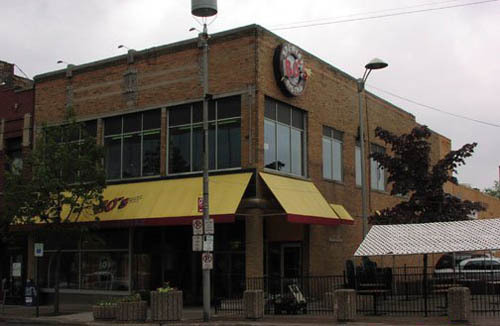 You can find Bo's Brewery & Bistro on North Saginaw Street near the intersection with Huron Street.